This cute sugar spoon makes a lovely gift for your favorite coffee lover. 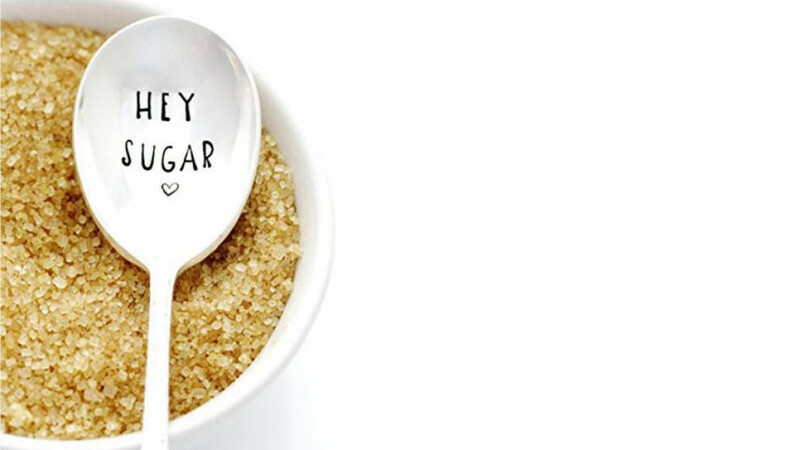 The words Hey Sugar have been hand stamped into a vintage sugar spoon. Your spoon will have the exact lettering and heart shown. Approximately 6 inches long. Silver pattern on handle varies, but will always be beautiful. A high quality spoon that will last and last. Makes a gorgeous addition to any kitchen or coffee bar. A unique gift idea that is sure to impress! Get it here -Sugar Spoon, Hey Sugar. Valentine's Day Spoon. Hand Stamped Vintage Sugar Spoon. Part of the Martha Stewart American Made Market.